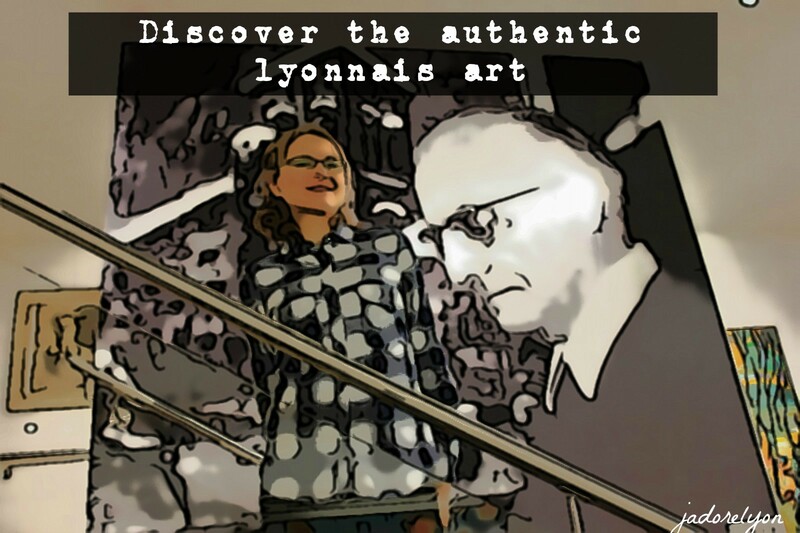 If you want to see the authentic lyonnais art I can recommend to go and visit a small yet very charming, recently established in Lyon museum which is located just next to the l’Ile Barbe. 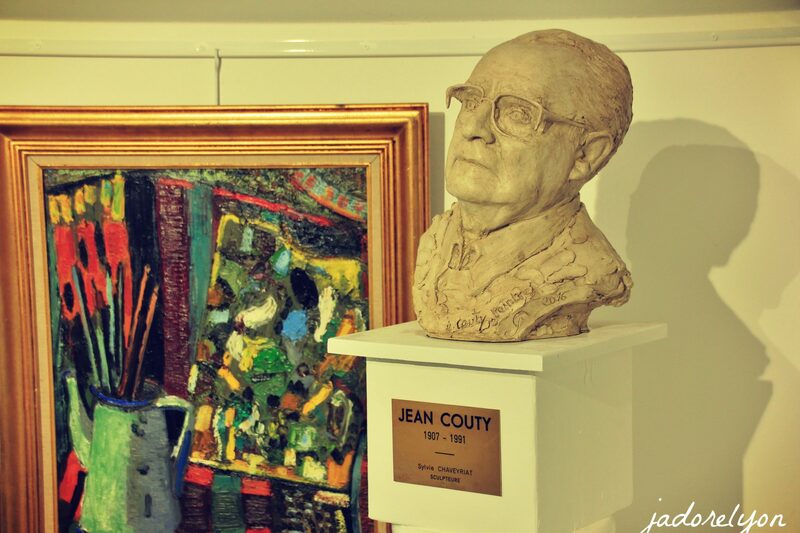 Have you heard about the Jean Couty Museum and Jean Couty himself? 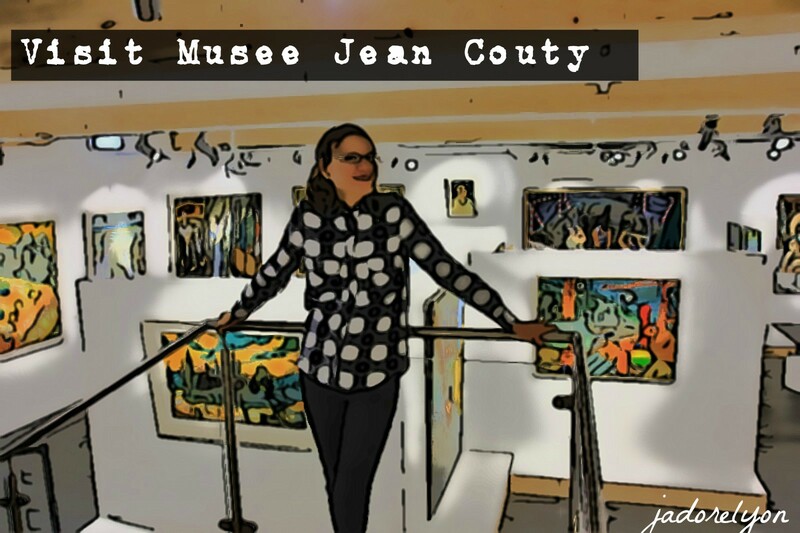 Jean Couty is Lyon’s major artist, who received the Critics’ Prize in Paris in 1950 and Grand Prix of the Painters Witnesses of their Time in 1975. He is one of the great figures of French painting. His art shows not only places between the Rhône and Saône, but throughout the world. I found it very interesting and beautiful. He is a real lyonnais born here in 1907. 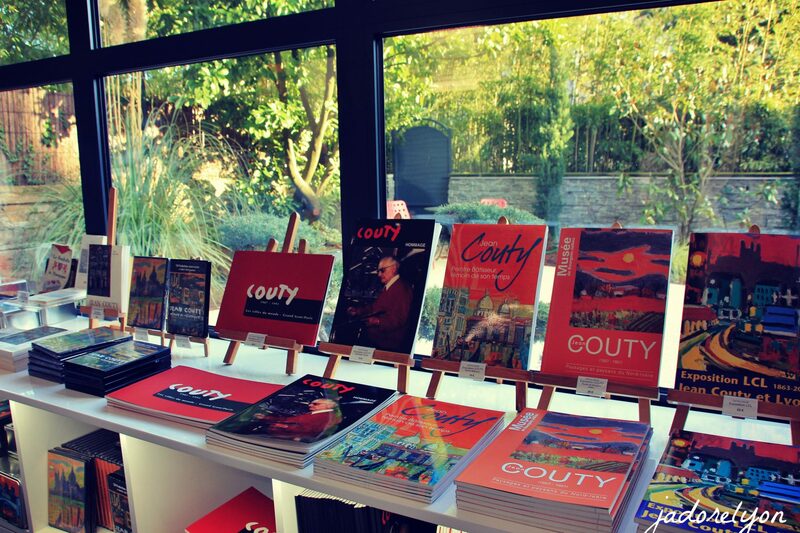 And the museum Jean Couty has just been opened in Lyon on March 18, 2017, a few meters from the family home and the artist’s studio, facing Ile Barbe, birthplace of the painter. This is his son Charles who dedicated 2 years to create this museum mainy to show the artwork of his dad but also to show more of lyonnais art in the future through more temporary exhibitions of other artists. It is just the beginning. 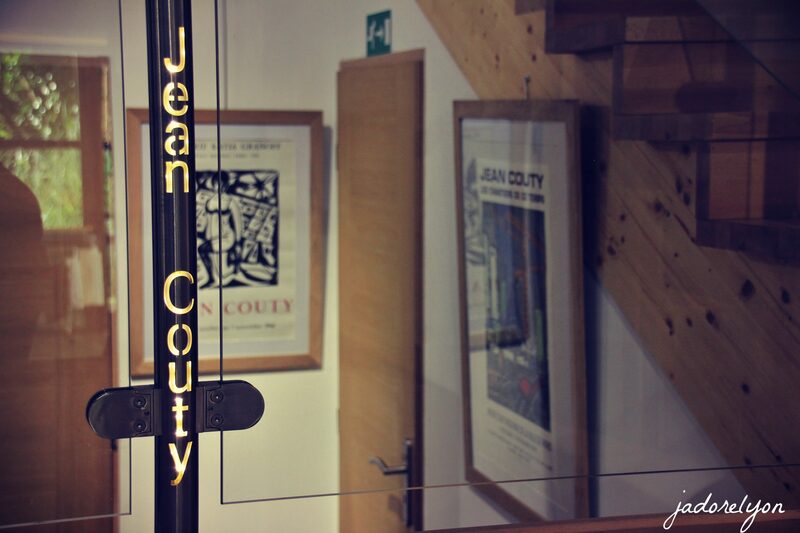 Currently, the museum presents its first exhibition, entirely dedicated to Jean Couty. There are more than 150 works, including 120 paintings, about thirty works on paper, as well as archival documents, sketchbooks and personal objects of the artist. But soon thanks to the large fund, the Director of the museum, Myriam Couty, will vary the selections and organize thematic exhibitions around Jean Couty. And finally where and when you can go? Opening hours: Wednesday to Sunday, from 11 am to 6 pm. How much: The full price is 6 €, reduced price: 4 €. It's free for children under 12 years old. 1907: Jean Couty was born in Lyon on March 12th. 1925: He entered the Lyon School of Fine Arts. 1926: He entered the studio of Tony Garnier. 1933: Be received the diploma of architect DPLG and was named a member of the Southeast Salon. 1937: He won the Grand Prix of the Paris-Lyon group. 1940: 1st drawing of the resistance was shown in the New Times. 1945: 1st solo exhibition organized at the Galerie Katia Granoff in Paris, where he exhibited more than 40 years. 1947: Exhibition of French art in Ottawa. 1948: Exhibition of sacred art in South America. 1950: Grand Prix of the Critique of Paris after Buffet and Lorjou. 1952: Exhibits at the biennale of Genoa. 1953: Second Grand Prix of the International Triennial of Menton. 1959: He was the 1st painter to illustrate the ticket of the National Lottery. 1960: He received the Legion of Honor. 1964: He illustrated two Christmas postcards of the United Nations after Picasso, Chagall and Miro. 1965: Major exhibition in Germany at the Baukunst Gallery in Cologne. 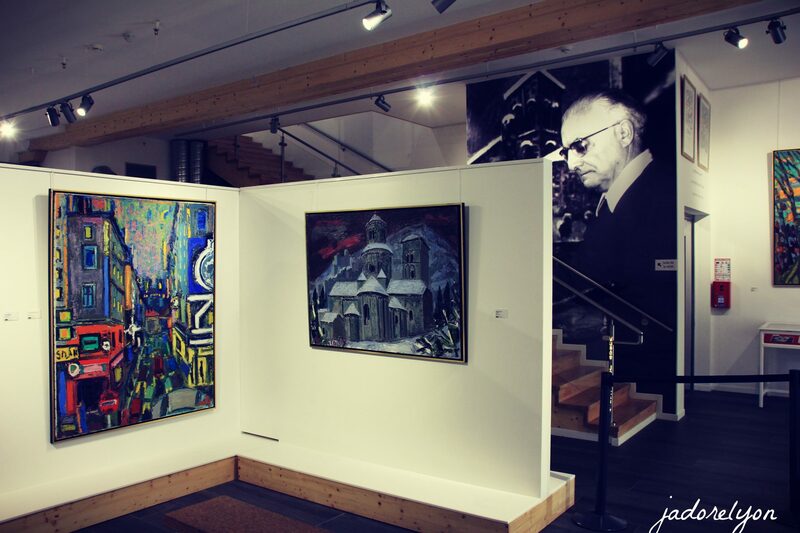 1971: Retrospective at the House of Bourges Culture. 1975: Grand Prix Painters Witness their time at the Galliera museum in Paris. 1976: Retrospective at the Espace Lyonnais d’Art Contemporain. 1979: Great exhibition at the Museum of Modern Art of the City of Paris. 1983: He was elected to the Academy of Sciences, Belles-Lettres and Arts of Lyon. 1987: He received the Medal of Commander of Arts and Letters. 1989: Prize of Painter of Light and Spirituality in Lourdes. 1990: Exhibition at the Vasarely Foundation in Aix-en-Provence. 1991: Retrospective at the Auditorium of Lyon. …yet we are lucky to keep his talent among us and admire throughout his art.. So are you coming or have you already visited? Please share your experience with us. Or do you have other recommendations for discovering authentic local art from whenever in France? Thank you! Indeed very interesting art. And you can enjoy a walk to Île Barbe or have a break at Jocteur (one of the top bakeries in Lyon) !